In the event of a fire, smoke sensors provide an early warning alarm, ensuring your home and family are safe, day or night. Fire is one of the single greatest threats to your family and home, with the potential to destroy everything in its path in minutes. Our monitoring centers are staffed by trained professionals who use state-of-the-art technology to deliver a fast response time, contacting emergency personnel when minutes count. Our alarm systems come with a variety of monitoring services, so your home or business is connected 24/7. You can control most systems yourself from anywhere at no added cost. We have been installing burglar alarm and security systems throughout the Westchester NY area since 1975 and have built a great reputation for custom installation and follow up service. 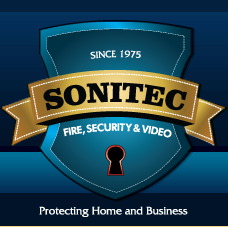 As a local business, Sonitec is different than security mass marketers that are seen on TV and in ads everyday. We’ll take a personal interest in making sure the system you purchase is best for you and not just something that fits into our marketing program. All of our installers work for us; we use no sub contractors, and you will feel comfortable having our experts working in your home.